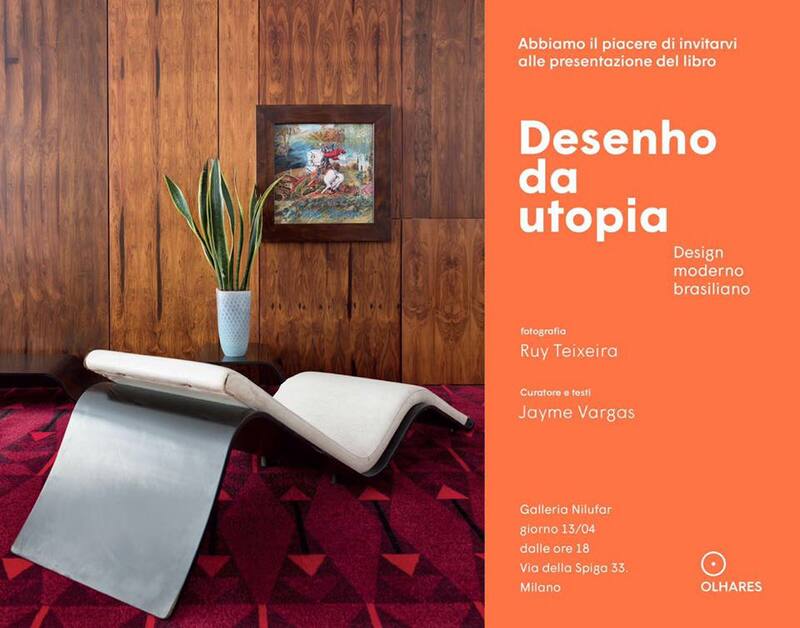 Nilufar Gallery hosted the presentation of the book “Desenho da utopia”, photography by Ruy Teixeira and curated by Jaime Vargas. 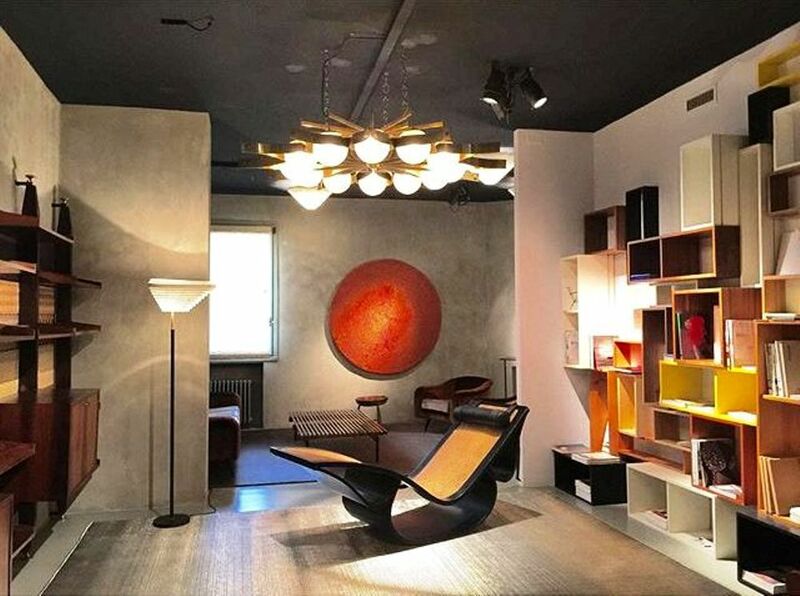 Nilufar Gallery is known as one of Italy’s most active and original galleries dedicated to historical and contemporary design. 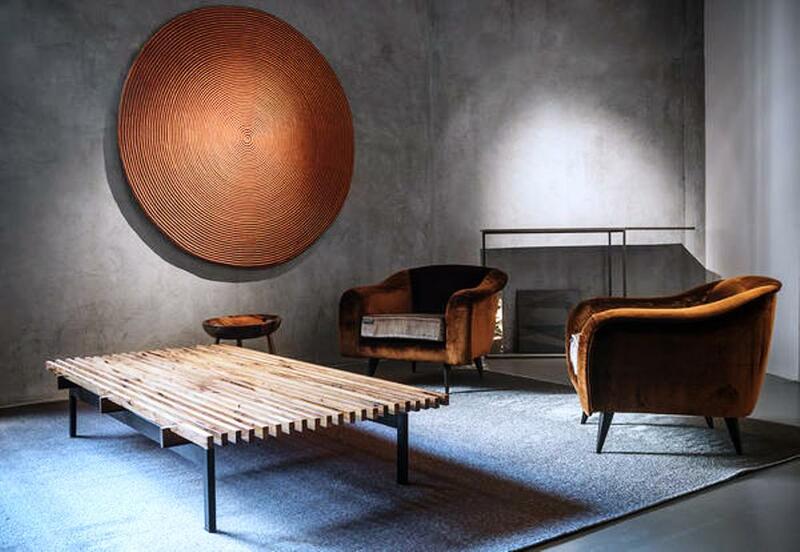 The gallery is housed in a three-story space on Milan’s fashionable via della Spiga. 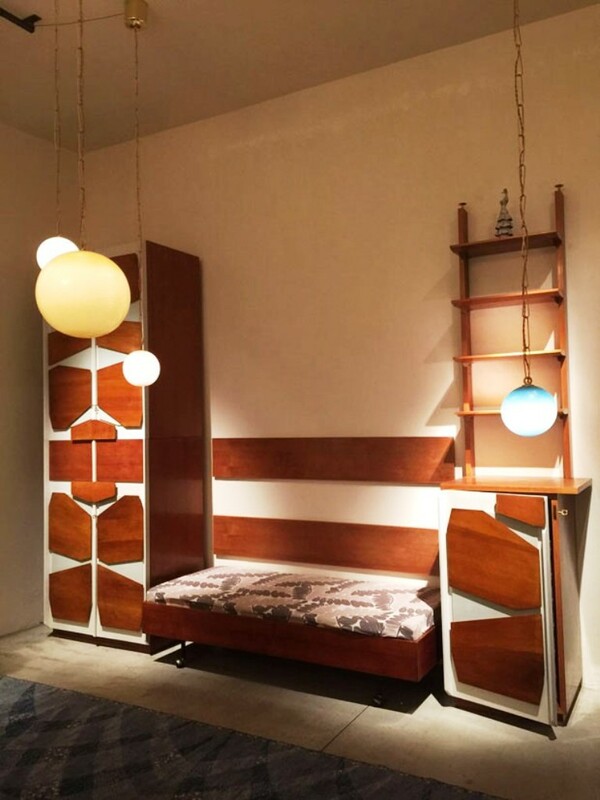 Since the beginning, Nilufar has promoted the work of Italian architecture and design masters, such as Gio Ponti, Angelo Mangiarotti, Gaetano Pesce, Piero Fornasetti, Gino Sarfatti, Alessandro Mendini, and Franco Albini. 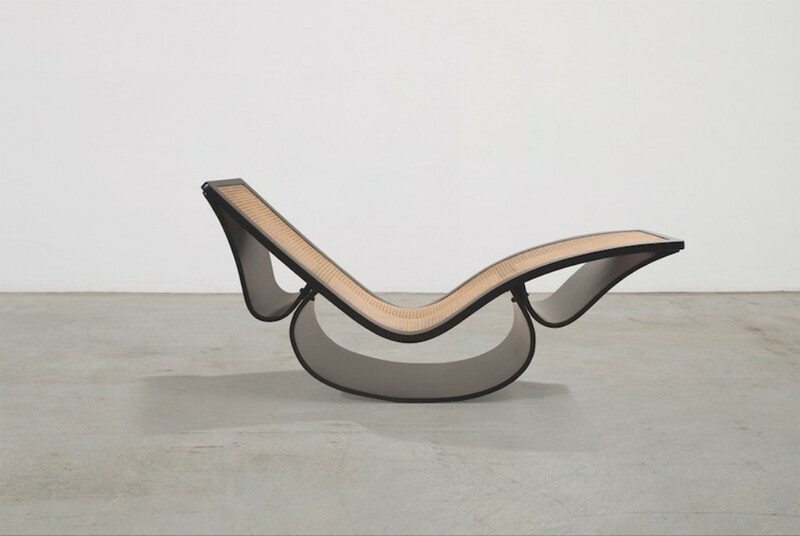 Architect Oscar Niemeyer’s sculptural ‘ rio chaise longue ’ was designed in 1978 in collaboration with his daughter Anna Maria Niemeyer. 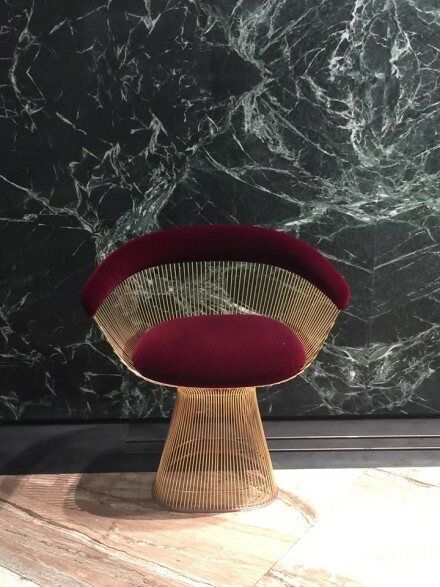 The chair expresses a classic elegance through its curved shape and folded layers, an almost shell like appearance is present, mimicking natural forms found within nature. Polish born Jorge Zalszupin moved to Brazil after world war II where he designed ‘ carrinho de chá ’. 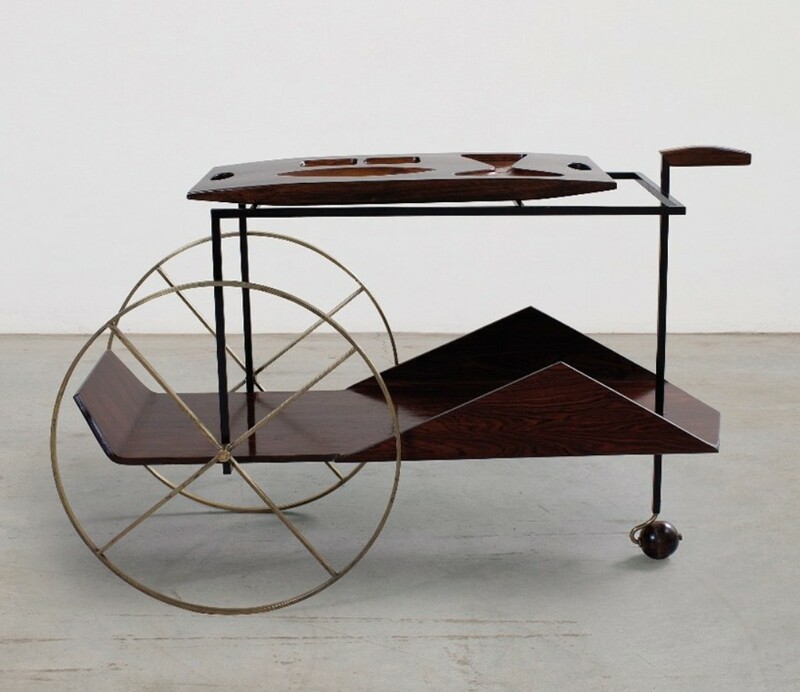 This furniture piece embodies distinct Brazilian modernist features, including two large brass wheels, a triangular second shelf, as well as a tray top containing abstract slots in which to hold objects. 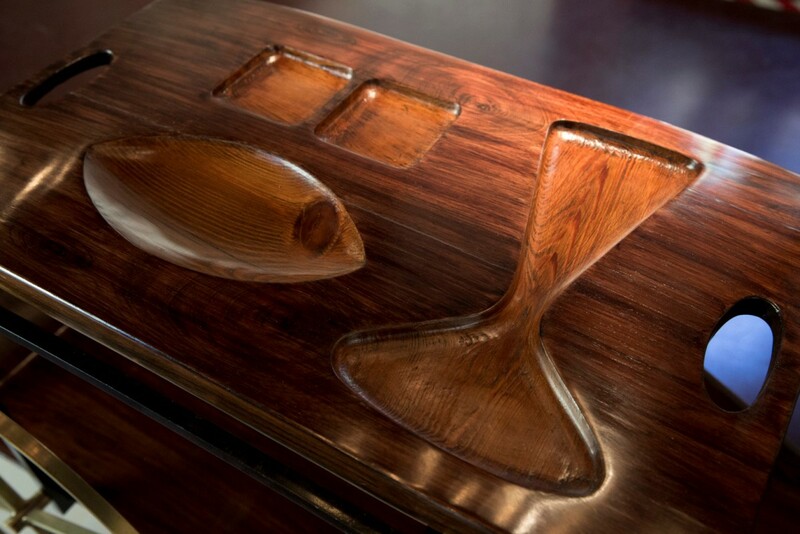 Jose Zanine Caldas was an artist, designer and architect who was heavily influenced by local craftsmen who carved boats and furniture from felled trees. He began experimenting with these traditional techniques creating sculptural works which became the focus of his late career. 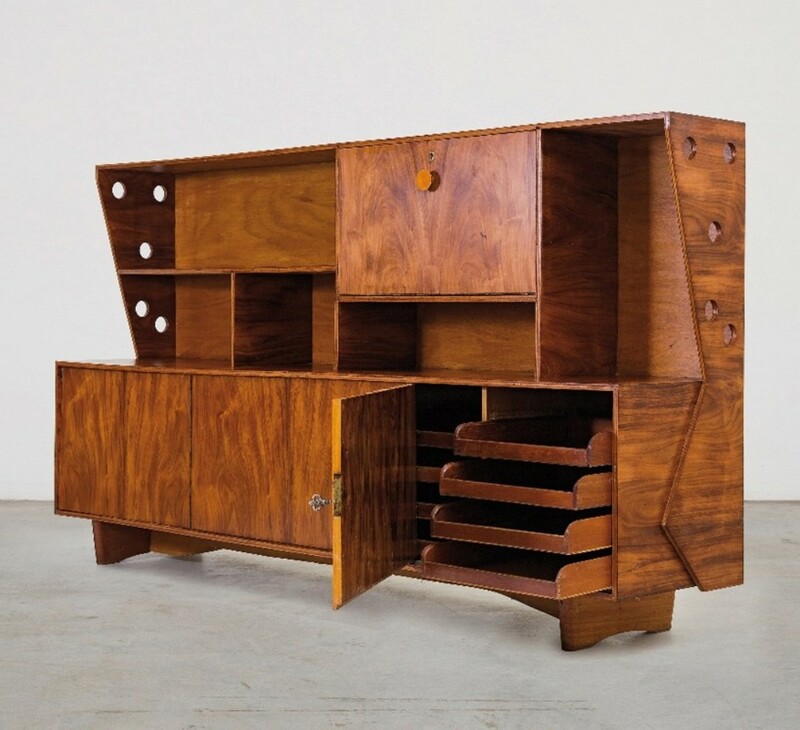 The ‘bar cabinet’ he created in the 1950’s consists of numerous compartments that fit together to make a complex structure. Small embellishments are added to the sides, in the form of small randomly dotted holes. 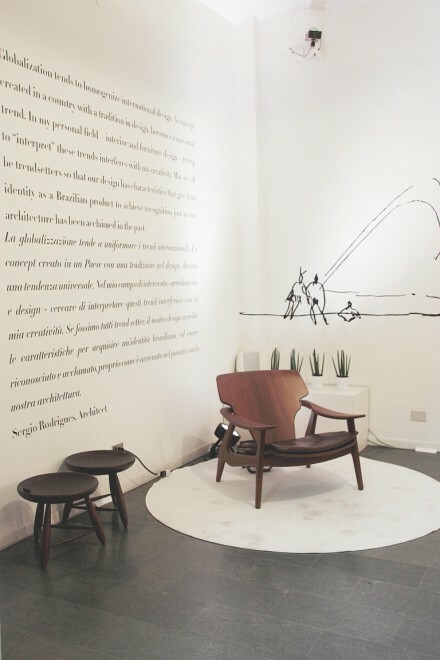 Designer Joaquim Tenreiro developed a language that adapted to the country’s heat, using wicker and Brazilian hardwoods. 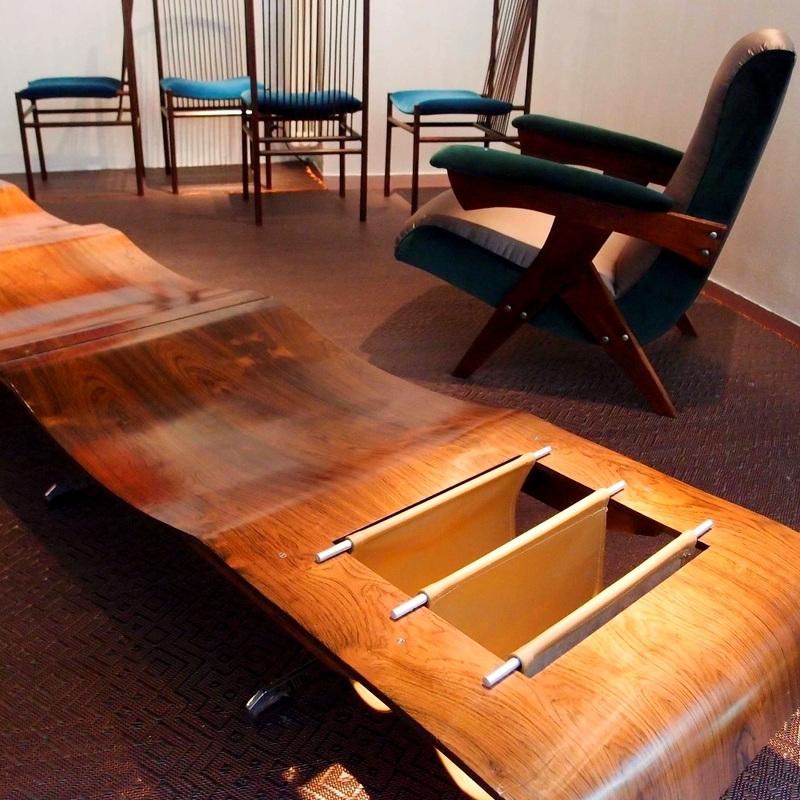 The ‘sofa’ he constructed uses strips of wood that form a long rectangular block. On top sit three square blue cushions out lined with a white seam, this piece challenges conventional preconceptions towards a sitting room chair, by incorporating the comfort of a sofa that responds to a warmer climate. Nina moved to Milan with her family in 1963. She studied History of Art in Venice and since very young she starts collaborating with her father, a wholesaler of old and modern carpets. Nina’s taste is different though. 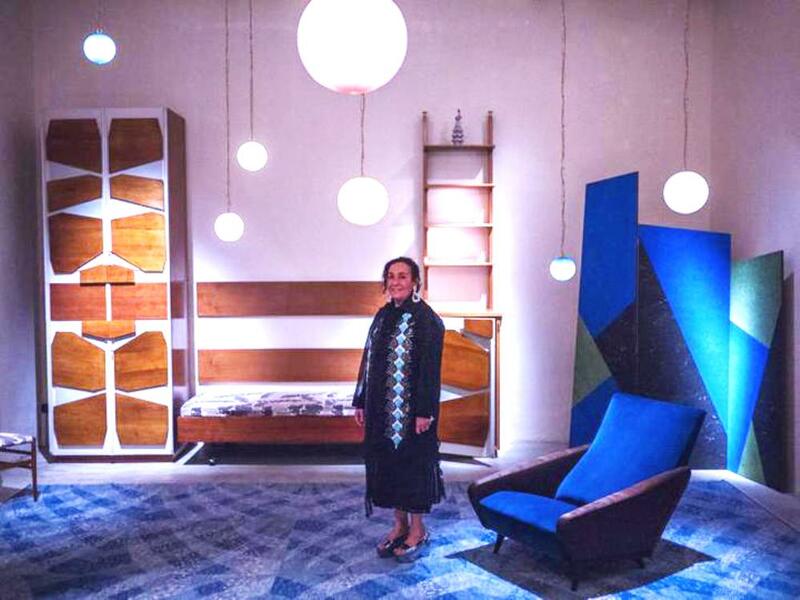 She combines French Eighteenth-century carpets with pieces by Prouvé and Perriand, the tables and chairs of Gio Ponti and Carlo Mollino, the colours of Sottsass, the sketches of Fornasetti, up to the totems of Bethan Laura Wood and the works of Martino Gamper. 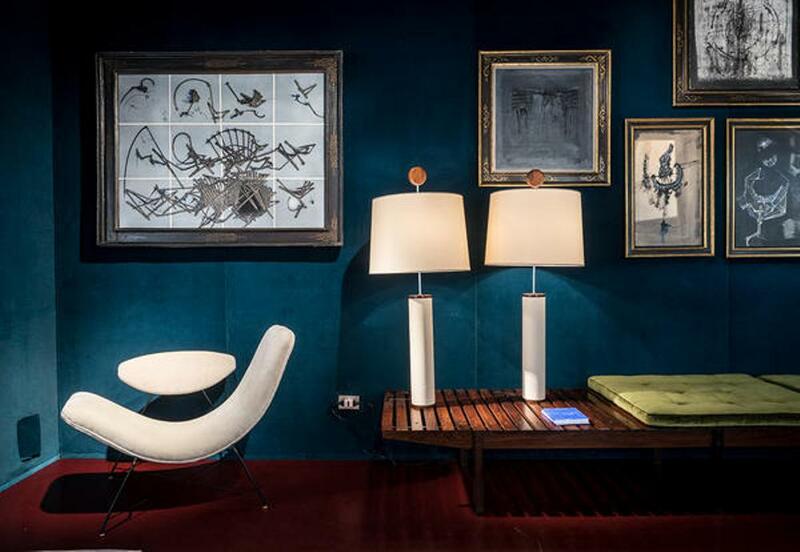 Many are the collaborations with art dealers, designers and contemporary artists. Curator of exhibitions and catalogues, event planner, gallerist, she is the undisputed leader among art dealers. 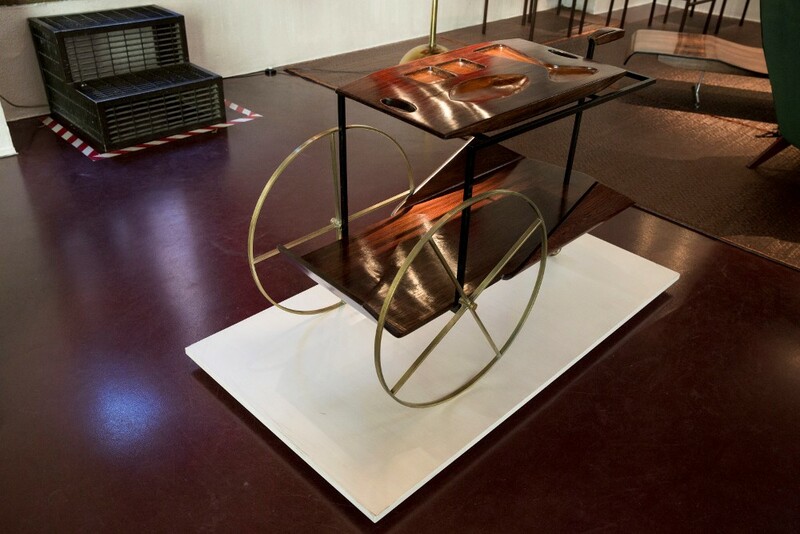 Nina Yashar’s work can be summarised in the concept of Crossings – title of two Nilufar exhibitions in 1999 and in 2000. 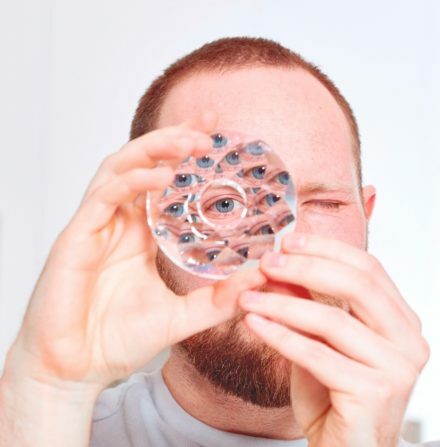 A game of decomposition and re-composition like in a kaleidoscope. 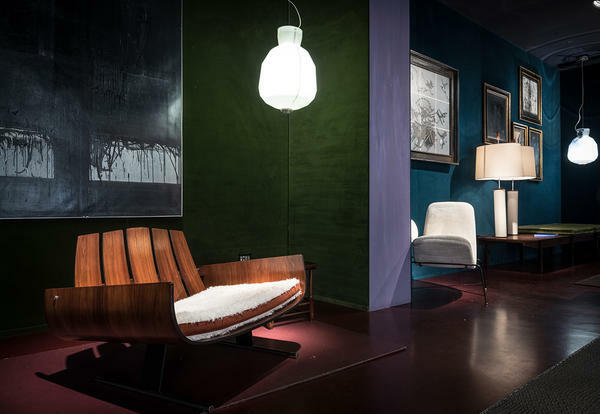 An aesthetic based on an open attitude, that does not care about labels and manages to combine different cultures and historical moments generating new visions that show the dealer’s flair. 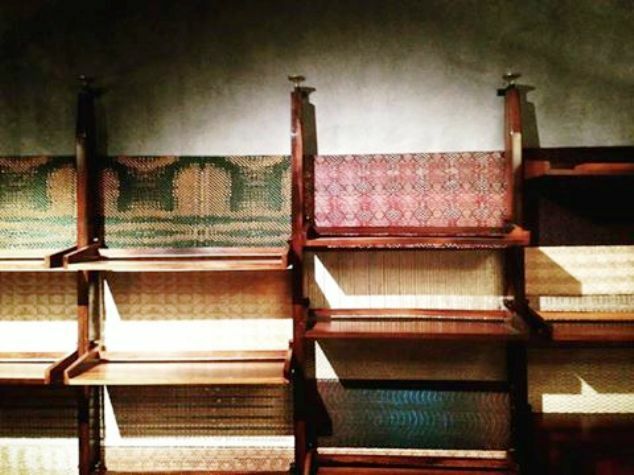 In 1989 I moved to the spaces in via della Spiga and I started proposing my own carpets by sometimes adding an Eighteenth-century painting, as I’ve always liked diversification. One day I was in New York and I saw a brand-new carpet in a window of a well-known dealer, I got in and found out it was a Swedish carpet. Two months later I was in Sweden buying lots of Scandinavian carpets. 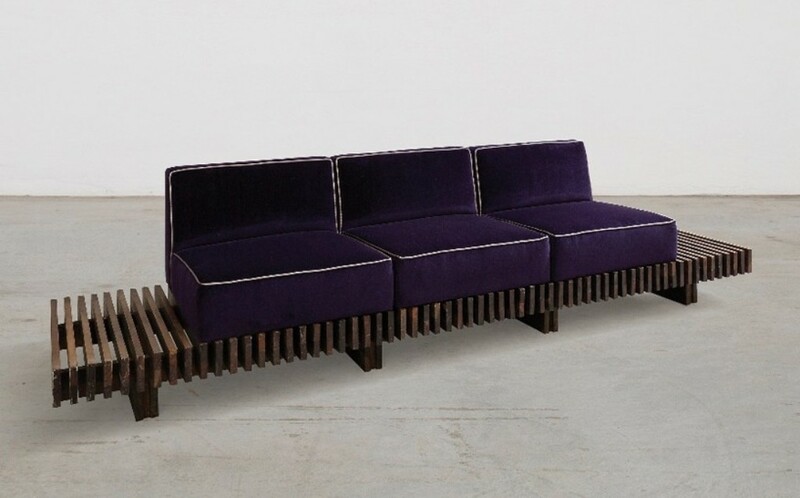 Since then I started knowing and buying historical design pieces and subsequently I fell in love with contemporary design and started producing it. I never stopped since then”. 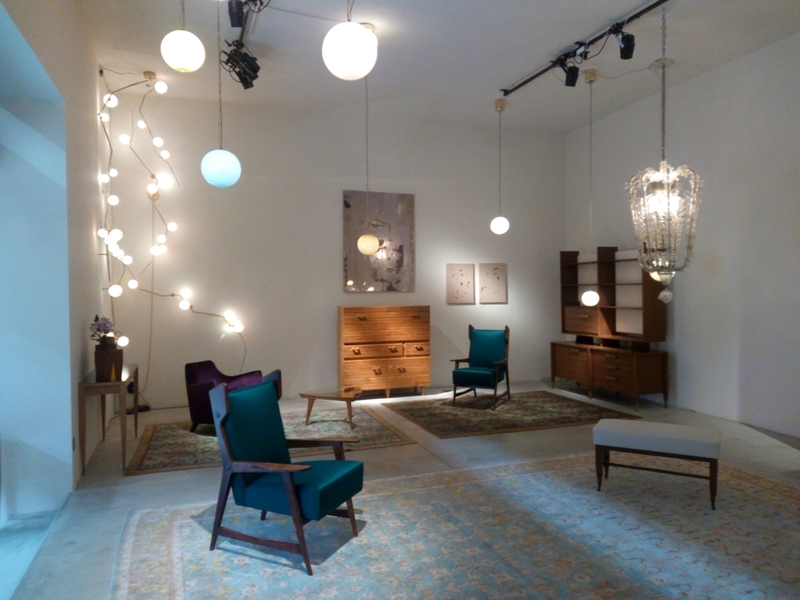 Last April, Milan saw the opening of the Nilufar Depot space, a 1,500 sqm warehouse on three floors in via Lancetti, born in an ex factory to house a collection of at least 3,000 pieces. “I was dreaming of a huge space, but I never thought it would be so huge. It was designed as a warehouse with an almost industrial architecture, like the detachable railings to let the forklift in. Initially it was supposed to be a simple storage area, as my current warehouse is 100 km away from Milan. Then, making the setup for the last Salone del Mobile, it was so successful that I was forbidden to use it just as a warehouse. Every day we receive people coming here just to visit us. 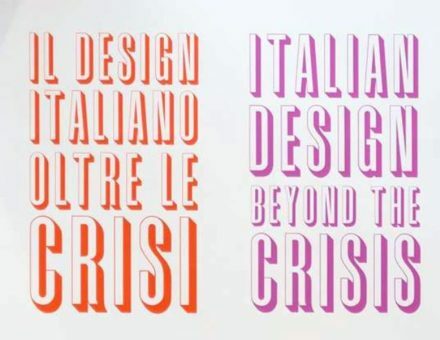 “In Italy there is still a strong cultural tendency to regard design as a mere functional object having no power to “talk” to its target just like an artwork does. I don’t mean that design is not appreciated or understood, just that it is hard for many to grasp its complexity: every single design object satisfies not only practical, but also spiritual needs; it talks directly to its users and talks about those who designed it with an additional usage value changing the object itself from contemplative into active. I think these two disciplines, i.e. art and design, have lots of things in common but also many discrepancies, which is why I think it is always a big risk when an artist claims to be a designer and vice versa. There is a border, although a weak one. 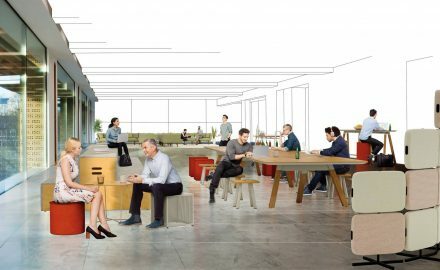 “Looking for something new in the design world is clearly a risky thing, as the market might not be ready for that yet. But this is what I have always loved to do and my only real luxury. The decision to make is always personal and based on what a designer wants to convey through his works. That’s when years of experience come into play, allowing me to orient myself easily. I do what I want to do and follow my continuous desire for newness. 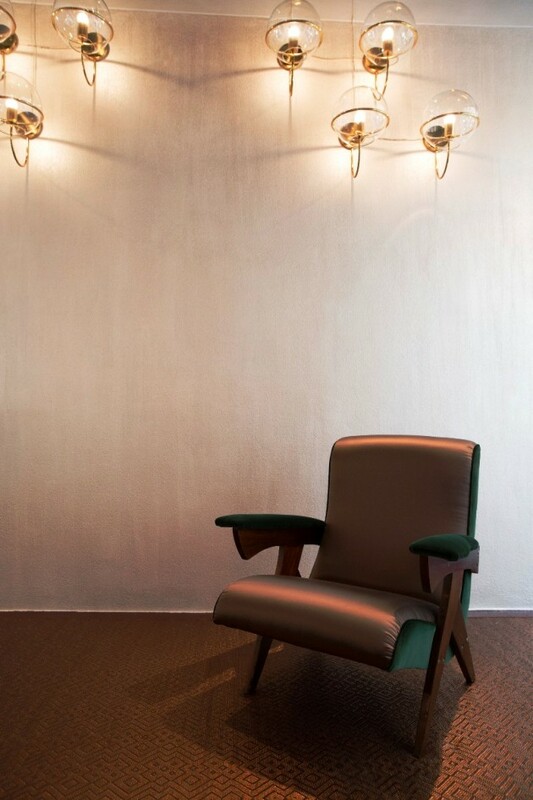 The “greatest” pieces I have ever bought are the one hundred chairs by Martino Gamper. A purchase that made me feel extremely excited. I bought them in a handful of seconds, I didn’t even want to see them all because the first ones had already seduced me. 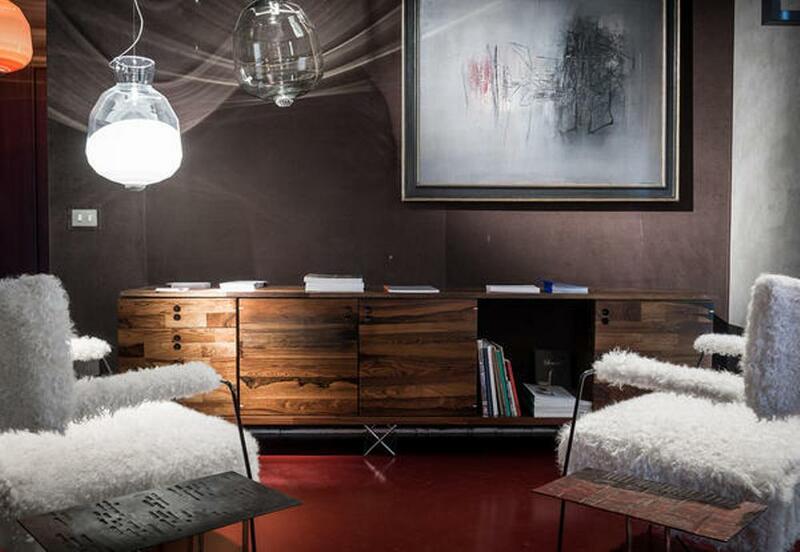 That is something I would place exactly between art and design, as Gamper was the first who used recycled elements giving life to a new system. I have always tried to find deep, but also rich and productive collaborations, both for me and for the designers involved. Keeping a solid relationship with designers I have known for many years now I have tried not to miss any opportunity to meet and discover new things: there are many other designers besides Martino Gamper such as Micheal Anastassiades, Bethan Laura Wood, Osanna Visconti di Modrone, who always impress me for the freshness and flair of their creations and with whom I create interesting synergies. There are always many difficulties though, the relationship between dealer and designer is made of love and conflicts: however, through a continuous search for innovation and with an open approach towards what is still unknown, I have always managed to get over such difficulties and find the right harmony”. “I think Milan is living a moment of great evolution also thanks to places like the Prada Foundation, probably today’s most important artistic and cultural hub of the city. I think we are living a sort of ferment, like a new Renaissance. I feel a strong attachment to this city and that’s why I am happy to see Milan enlivened by such a huge transformation and ferment. From Expo onwards, I noticed that everyone is taking action to improve themselves and offer new things first to the citizens and then to all the city’s future visitors. 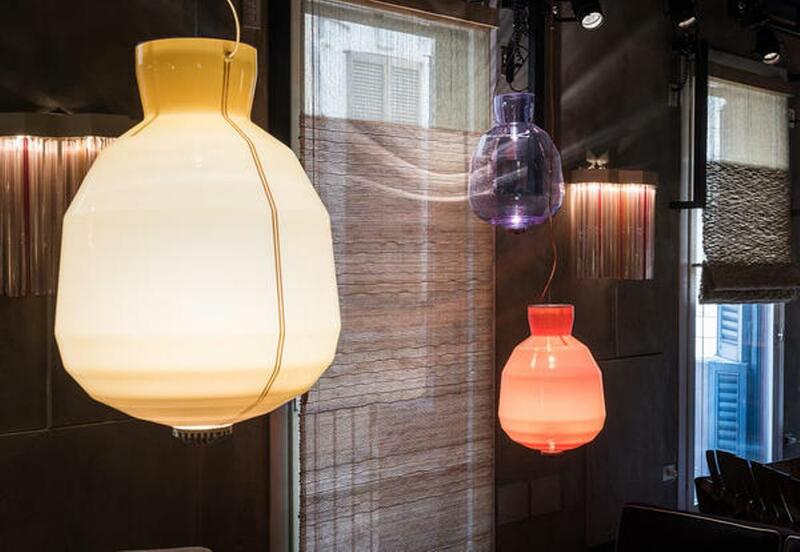 I think the Fuorisalone is one of the most important initiatives allowing to involve a lot of people. A great strength is the synergies and collaborations taking place on this occasion: a good starting point to generate new relationships and creative and innovative projects enriching their makers as well as their users. 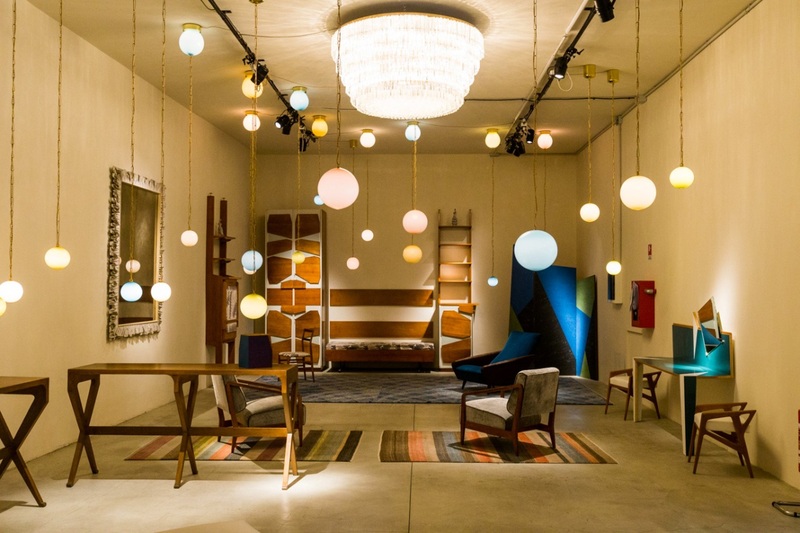 I do believe that also this year the Milan Design Week will be able to offer something new and original and not just reworks. 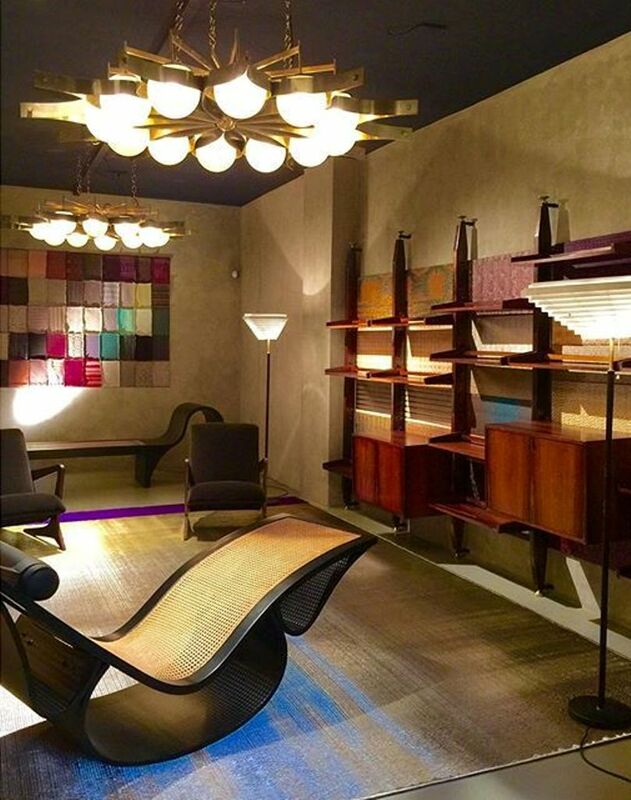 Between the Salone and the Fuorisalone I definitely choose the latter! I always suggest to select the events carefully, choosing the few good ones to enjoy them better and have fun. 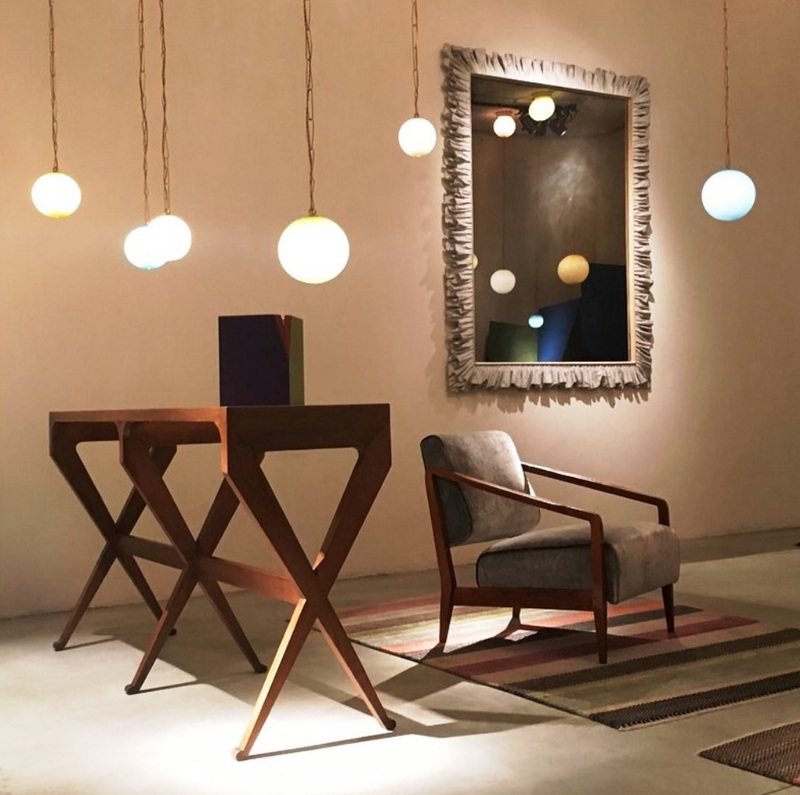 At the Salone I learnt that it’s important to make a selection of the must-see places, as the range of new things offered is huge and the Salone is often used to exhibit projects that would otherwise not be exposed. It is essential to train the eye so that it doesn’t get confused by the large number of proposals. Her smile is quick and spontaneous. Her eyes express depth, intelligence and joy of living. Its imposing and sculptural shape is defined by the coat wearing Prada volumes. 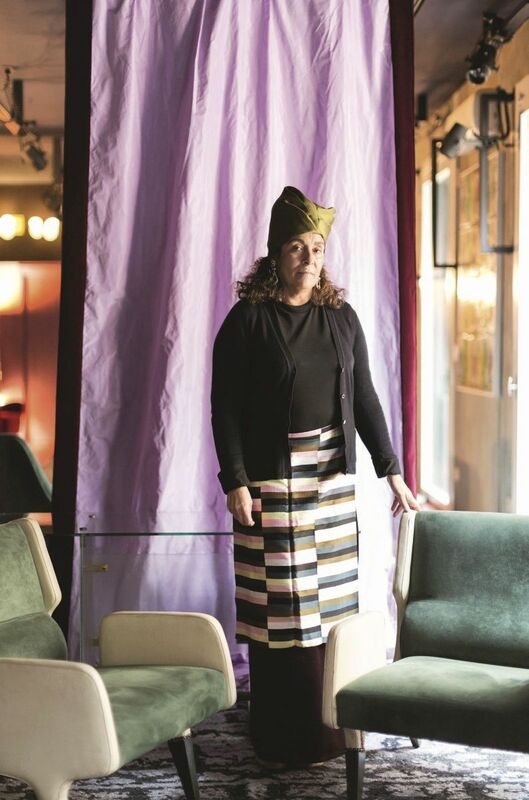 Nina Yashar, the soul of historical Nilufar gallery, is slightly eccentric, and she can take pieces of her wardrobe in conflict, without being overdressing. Even the most extravagant garment is de-contextualized and deconstructed by such a personality, and nonchalantly as to be always chic. And it is that taste of contrasts that Miuccia Prada has taught the world that Nina apply in choices and in the search for wonderful pieces of design. 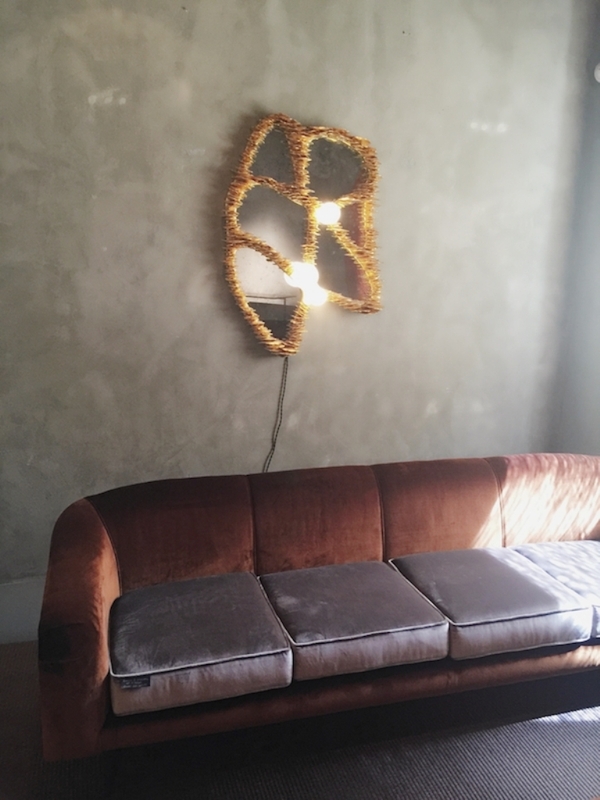 Because it is her overalll eclecticism, one of those characteristics, that in thirty years of activity has made its space in Via della Spiga a legendary address for design aficionados. 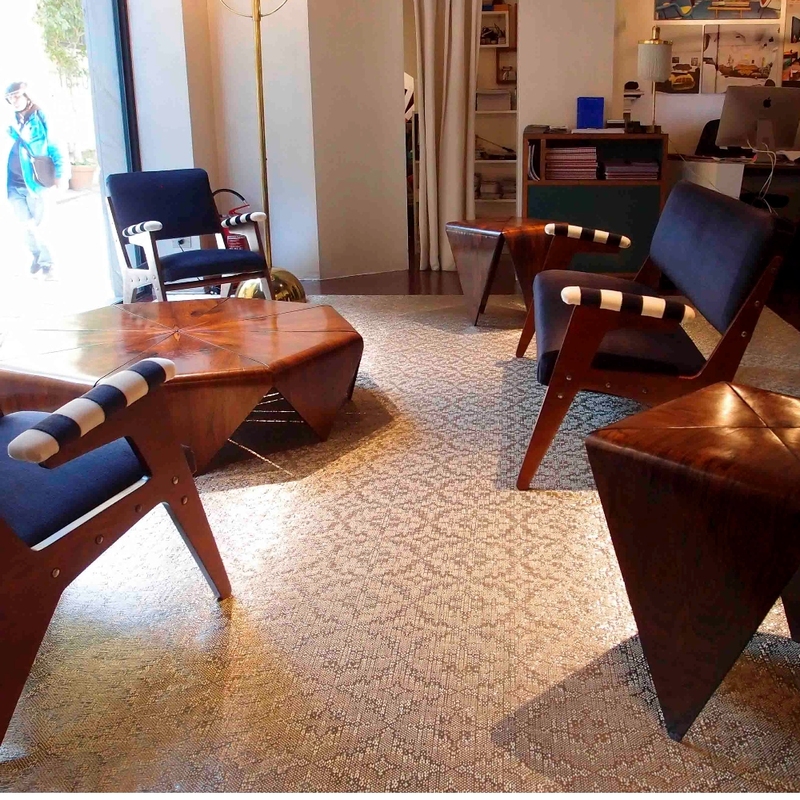 Only his innate intuition can create a harmony between historic design of names such as Carlo Mollino, Gio Ponti and Ettore Sottsass with rare antique carpets and limited edition contemporary design. 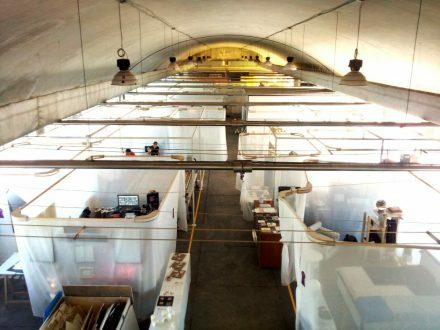 We met during the design week in the opening night of the Nilufar Depot space, in which he presented the new construction. In a research and production that she calls “Renaissance” has selected and supported many projects of designers on the idea of ​​one piece. It created a real new wave of creative people who revolve around you and your space. He told us how did all this and his vision of a life dedicated to design. Where did the idea of ​​Nilufar? It ‘born as a gallery of antique carpets and after treating for many years almost only that, I started with the old Scandinavian design. 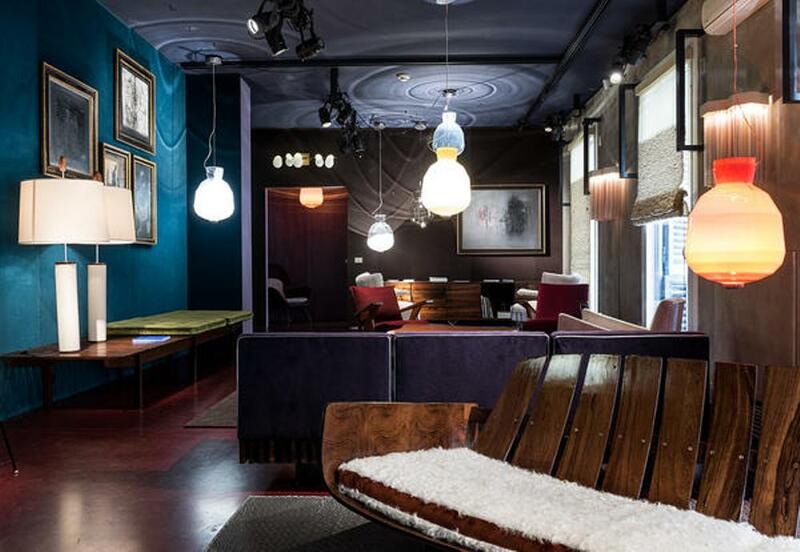 And ‘all started by accident in Scandinavia, trying carpet I found some historical pieces of design, I bought them and taken to Milan without really knowing what they were. When he saw them my design historian friend, she told me that I had bought some exceptional things. From there I never stopped. Are playing with contemporary productions after the first Miami Basel and in nine years in business were born many projects. 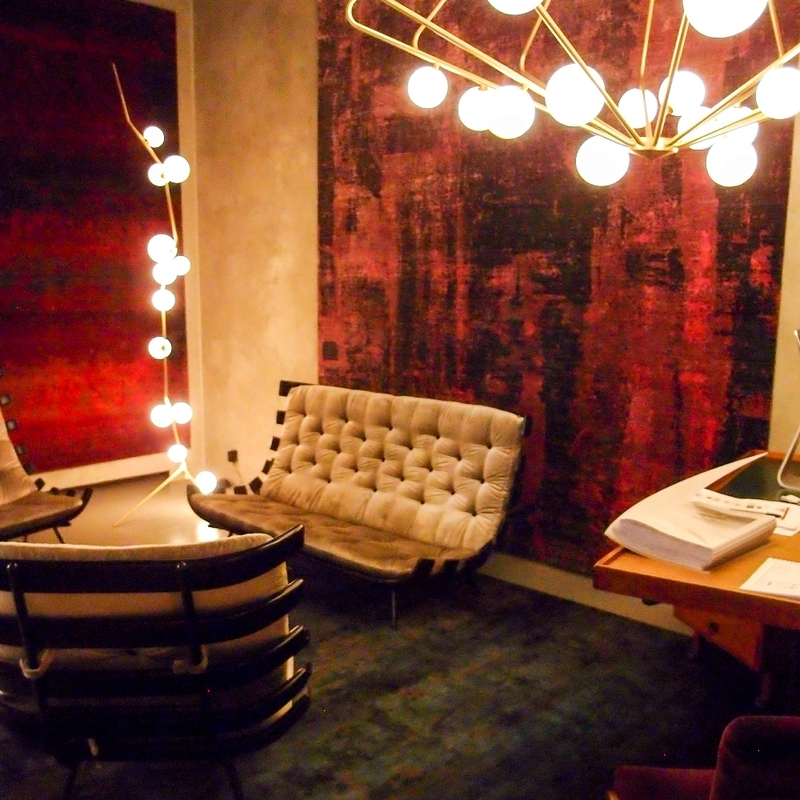 I could never deal with historical design without the contemporary, it is like oxygen for vintage pieces. I have always believed in the contamination, already fourteen years moon stool exhibition called “Crossing” which mixed carpets of various periods. This year for the first time I also added pieces of fine vintage and antique Sicilian mirrors. 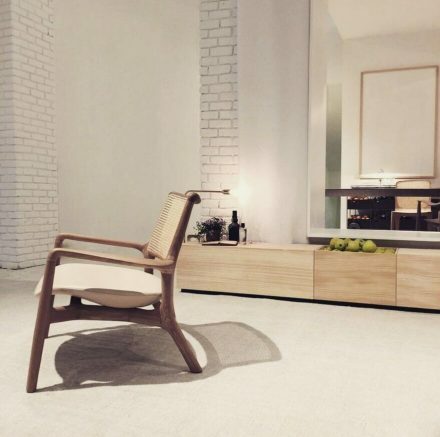 How do you choose the pieces of your gallery ? It ‘sa question I get asked all, but it is something you can not explain. It ‘a choice of heart. It depends on how a project affects me. How did the space of Nilufar Depot? Even for this case. 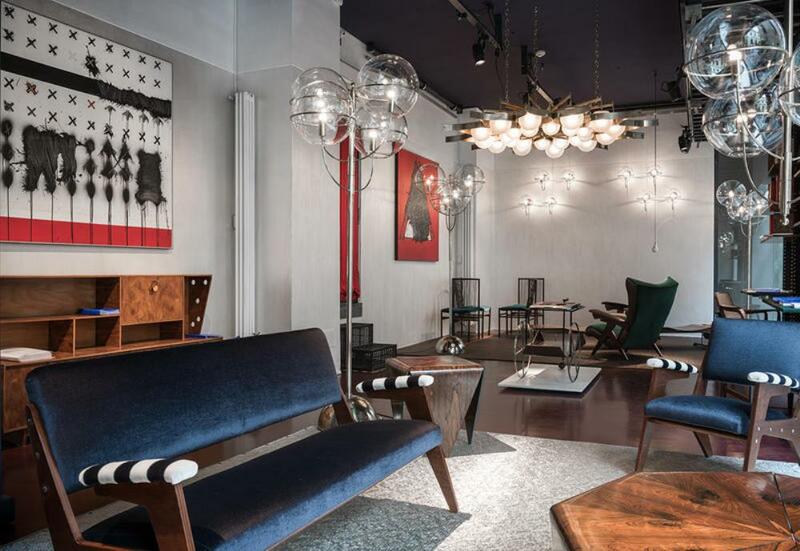 I was looking for a store, and I found this space 15oomq, which was redesigned by Massimiliano Locatelli with the idea of ​​the shape of the Teatro alla Scala and with an architecture where everything can be moved. For the opening I made a big inauguration dinner with special un’allestimento, who liked it so much that all my friends have forbidden me to make a simple deposit. Since then it is open every day and many come to visit from all over the world. The set up for this edition of the Fair as it was intended ? It ‘been redesigned studying between my inventory, my archives and the designers’ installations. 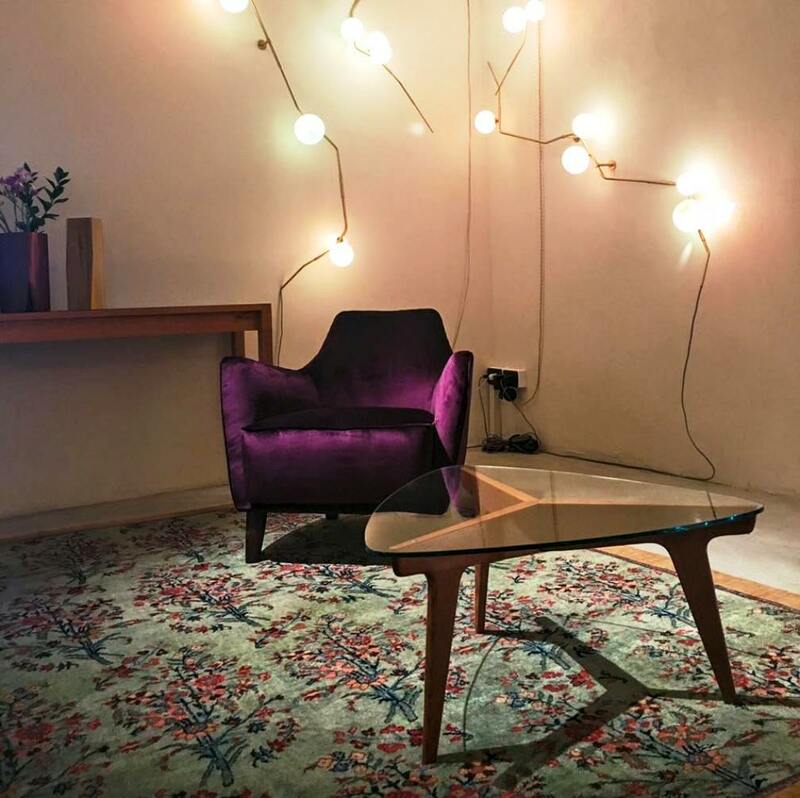 I became crazy just to create the installation of carpets at the center of the large room, I wanted it to be something you remember the story of Nilufar. Did you see how wonderful the three tapestries of the sixteenth century suspended ? 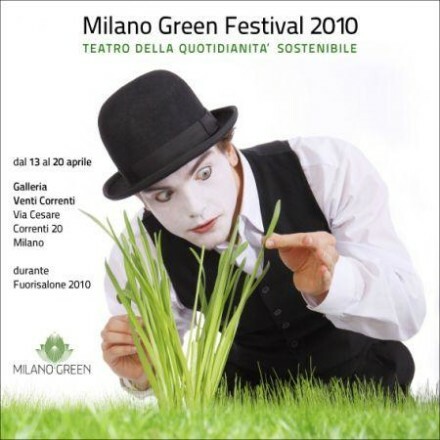 What do you think of this particular moment in the city of Milan ? Milan is at a moment of great glory, returned a desired destination from the interesting people at the international level, he is going back to re-attend. The city is full of interesting places such as new museums and foundations. The relationship between craft and design ? The craft recovery related to the design is critical. 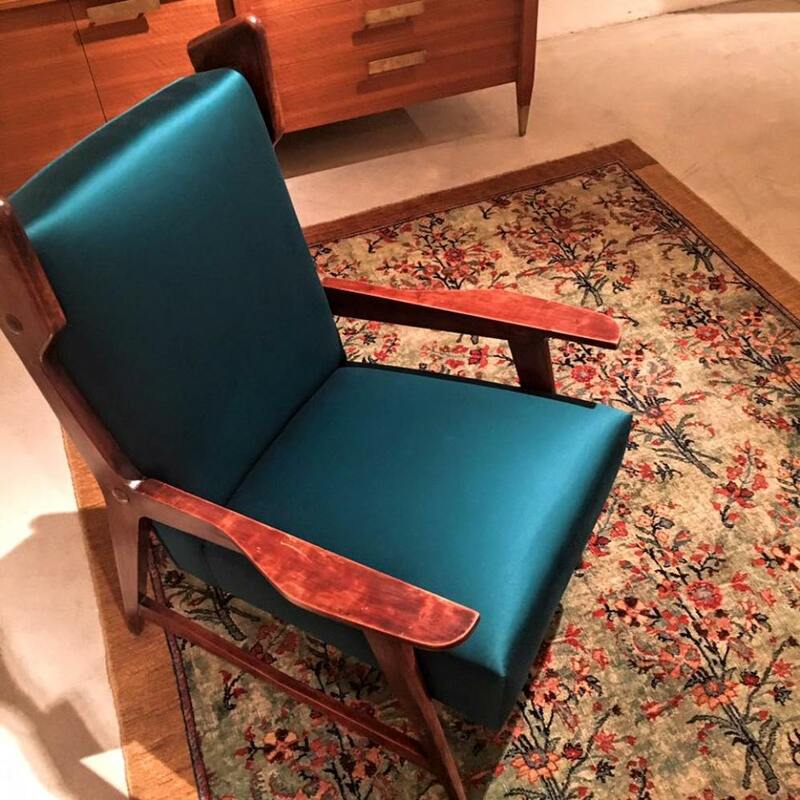 It ‘a system that allows a gallery like mine to work in a “renaissance” that is custom made, with designer pieces that are made specifically for the customer who has the opportunity to have an object in a limited series. In addition to the new generations the contact with the manufacturing and craft is a new experience, so it has a completely different different charm. Follow the fashion in some way ? You have a stylist that you enjoy ? I love the work of Miuccia Prada, we have a common view on things. We are always looking for something “unexpected”, somehow different. Fashion amuses me, usually I buy the items that you sell less, things more special. What advice would you give to a young designer who is starting his career ? To create a solid cultural background in all fields, to deepen the history of objects and design.